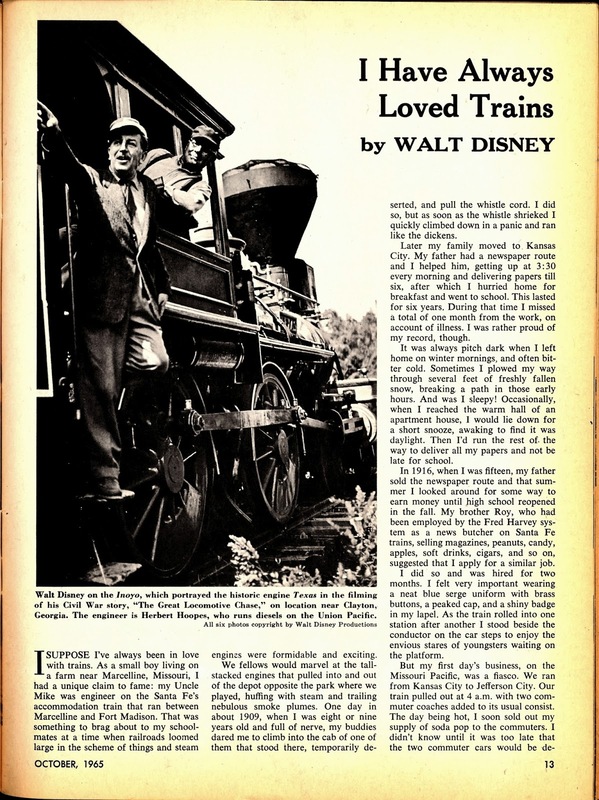 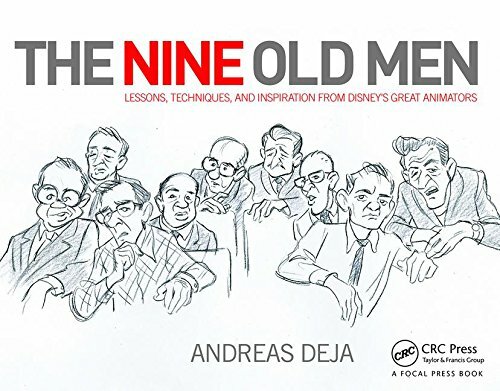 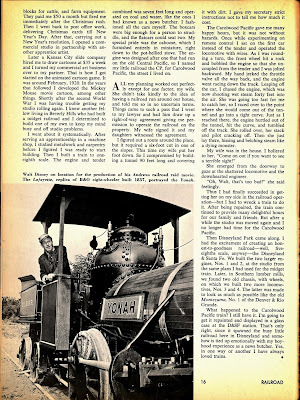 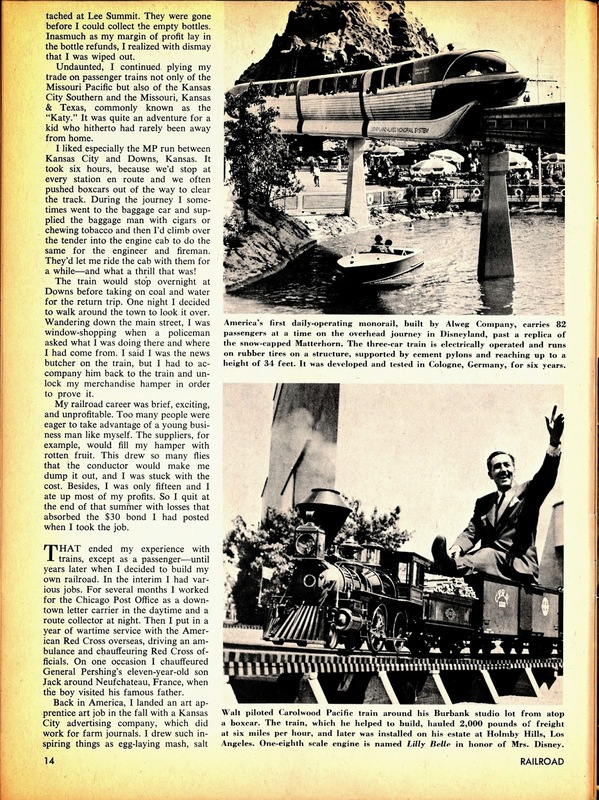 Most of you know that Walt Disney was a train enthusiast. Trains show up in some of his feature length as well as short films. 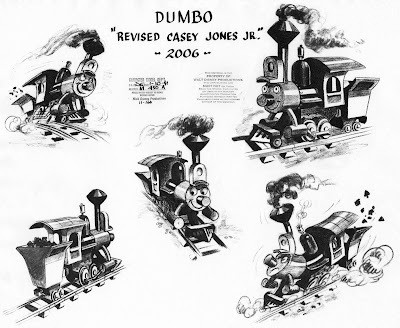 Often a train would become a personality like Casey Jones Jr., or they just functioned as the real thing, like the train that almost ran over The Aristocats. 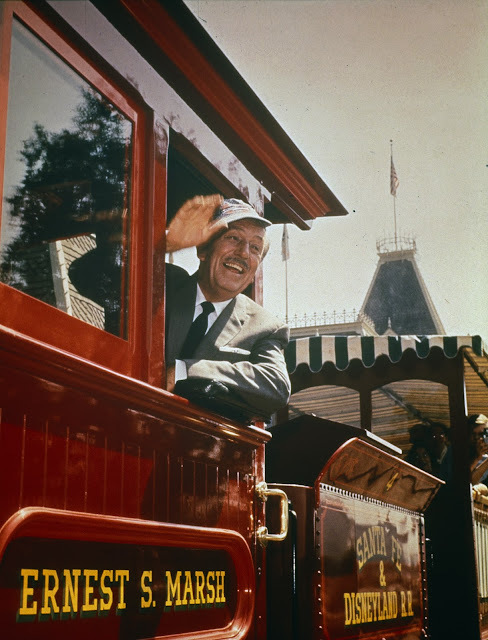 Walt put a train into Disneyland, and named it after his wife, the Lilly Belle. He also installed train tracks around his home in Holmby Hills, Ca. 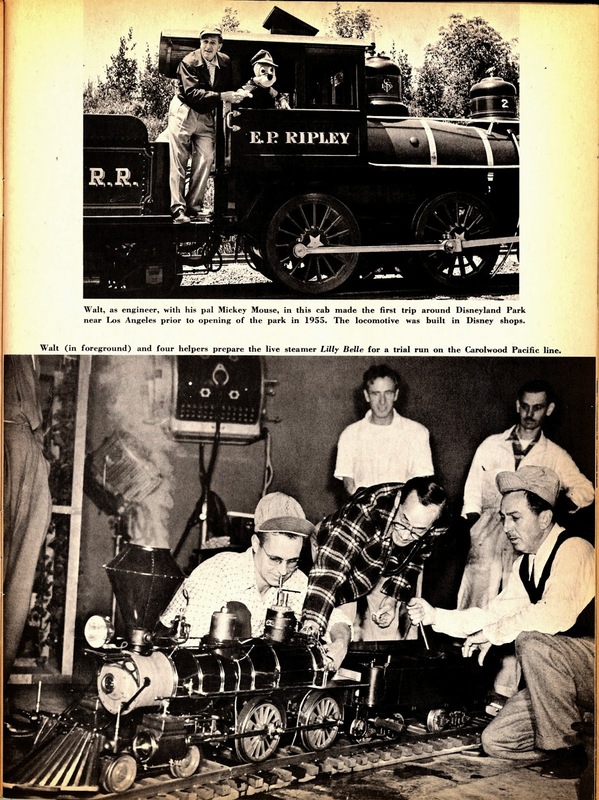 This was a 1/8 scale miniature train, called the Carolwood Pacific Railroad, which ran for 1/2 a mile. 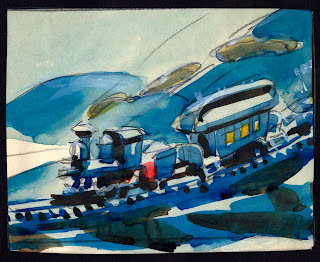 Here are a few images of Disney trains from various films. 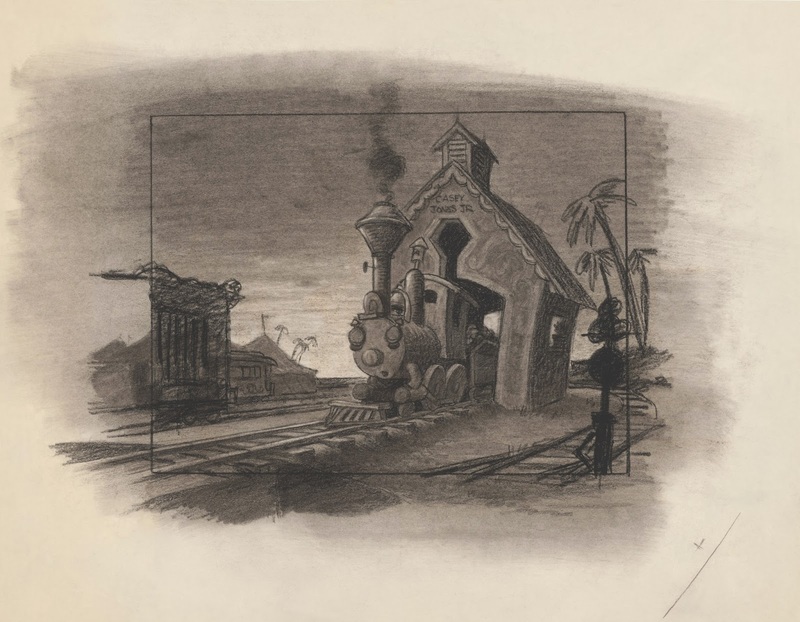 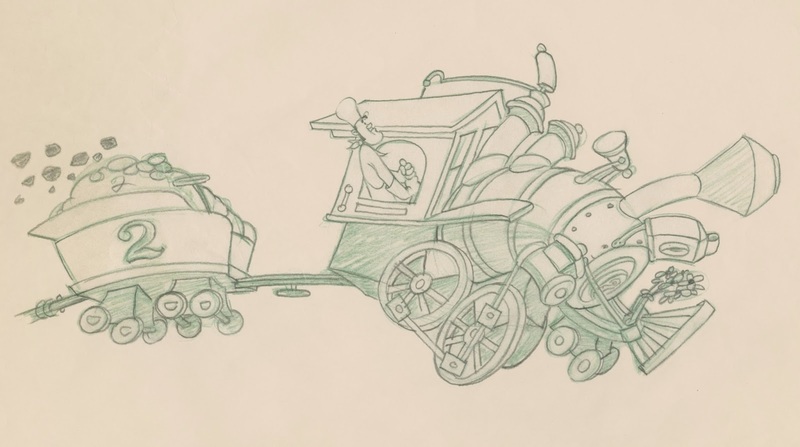 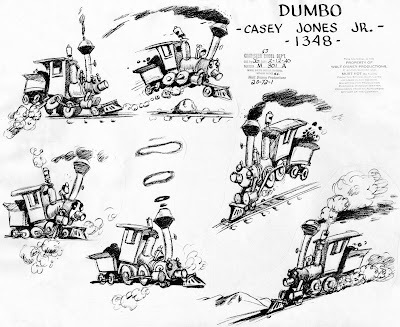 The drawings of Dumbo's Casey Jones Jr. are incredible, the artists developed such a fantastic motion range for something that is basically made out of solid iron. 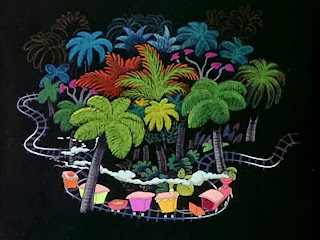 Just wonderful! 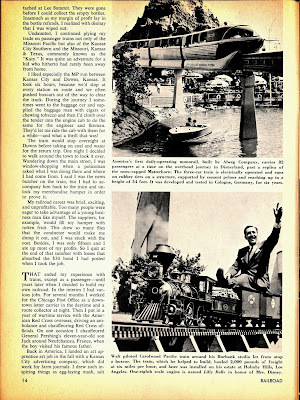 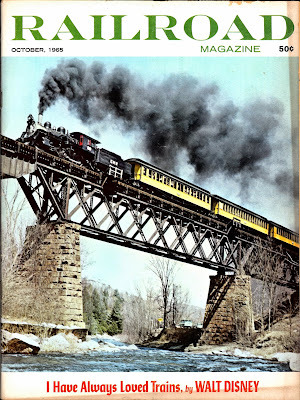 A magazine article from October of 1965.